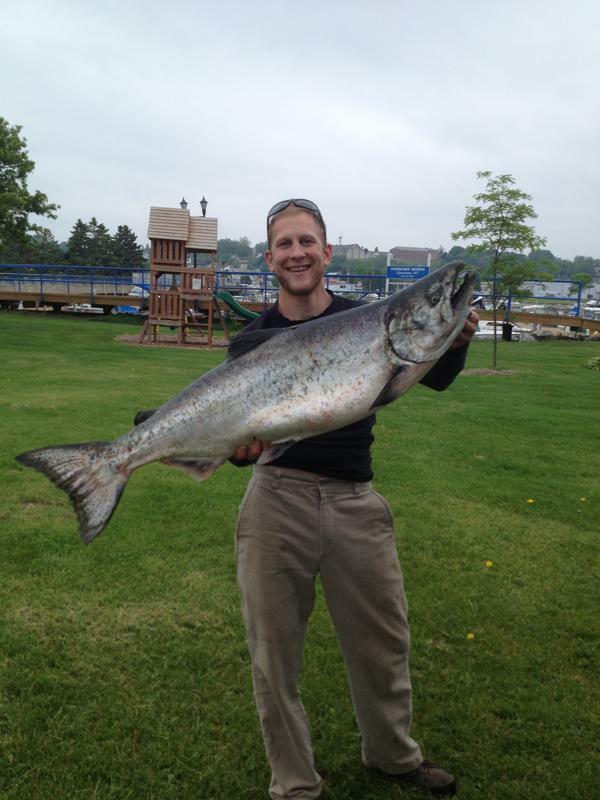 If you are looking to do some charter fishing and have an awesome time on Lake Michigan catching King Salmon, Rainbow Trout, or Lake Trout, then Welcome Aboard!!! We will be fishing on the 33' Rip N' Reels. This boat is very comfortable for charter fishing. It has a great big cabin for you to relax in on the couch, between reeling in all those monster Salmon and Trout we'll be fishing for. ©2013, Rippling Waters Sport Fishing, All Rights Reserved. The 2018 Season is filling fast. Book Now!! 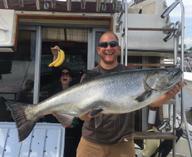 Even with BANANAS on the boat.We managed to hook into this beast. It was a 30-45 min battle before we netted it!